Last weekend I went to Scrapbook Expo in Anaheim, CA and stopped by The Rubber Cafe booth to say hi to Melissa. After a big hug she threw a bunch of brand spankin' new stamps at me....YAY!!!! New rubber to play with! I've been busy playing with the new stamps and today I wanted to share a few fun cards I made with one of the new sets, "Love Ewe". I used some of my go to sketches and a pack of Recollections Valentine's patterned paper. 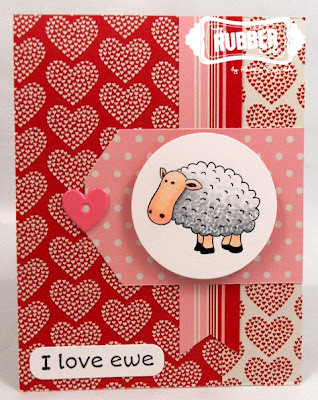 I had fun experimenting with coloring the sheep differently on all the cards. On the first one, I dotted the grey ink on to the Sheep. On this one I tried black on his face and feet. The final one was a really quick CAS card. I don't see this set in the store yet but I'm sure it will be there soon! Next week, I'll be back with some cards I made with another new set, "picture perfect". 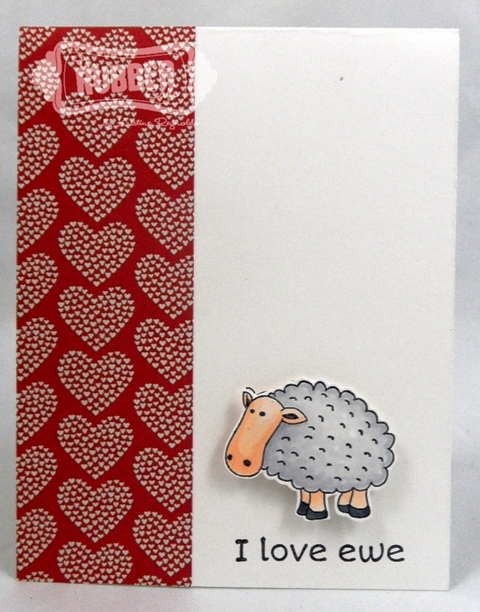 Too cute, love that little sheep! Kristine, these are so adorable! 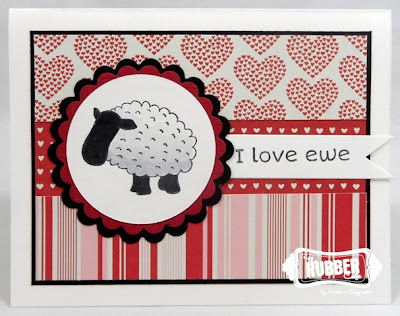 I like the black sheep one the bestest!